This beautiful white Crocus has a lovely yellow throat and is currently blooming in my cool greenhouse. 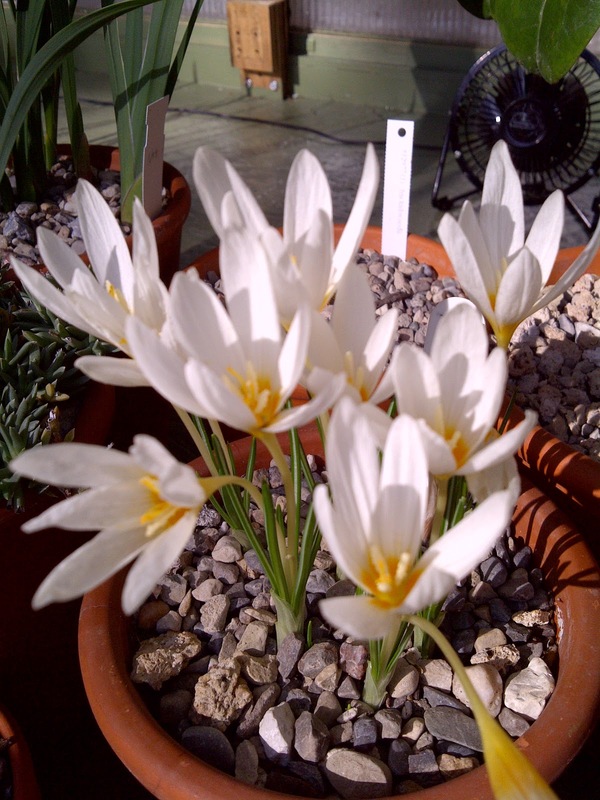 We have been blessed with a beautiful Autumn with more sunshine than normal and the Crocus love it. This tiny crocus occurs in the wild from southwestern Syria through Lebanon to northern Israel and is hardy in the garden in my experience with a little mulch. 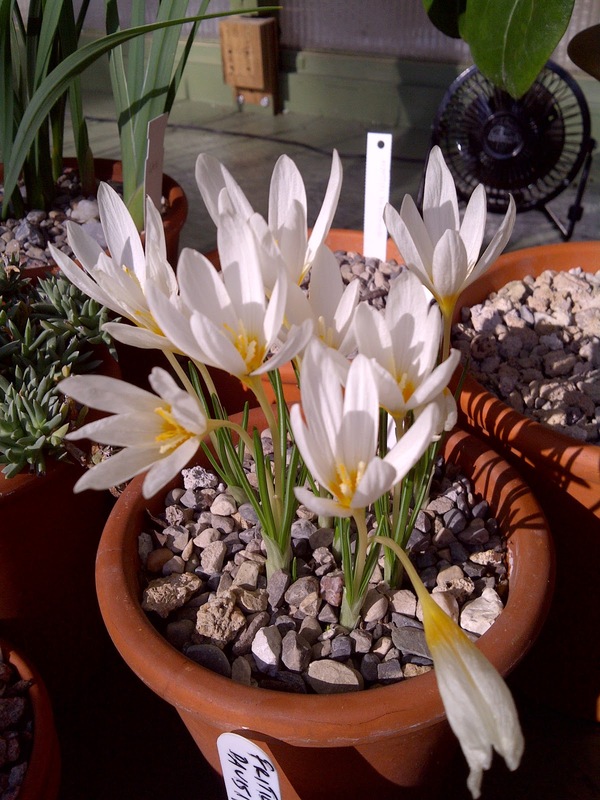 They are much nicer in a pot than in the garden as they bloom late October to November and are best enjoyed in the shelter of a cool greenhouse.